In my opinion, there is no better way of getting rapid and lasting improvement in all aspects of your game than a structured Coaching programme. We can explore in depth every part of your game, and really work not only at analysing and correcting it, but making sure that the corrections made are lasting ones. 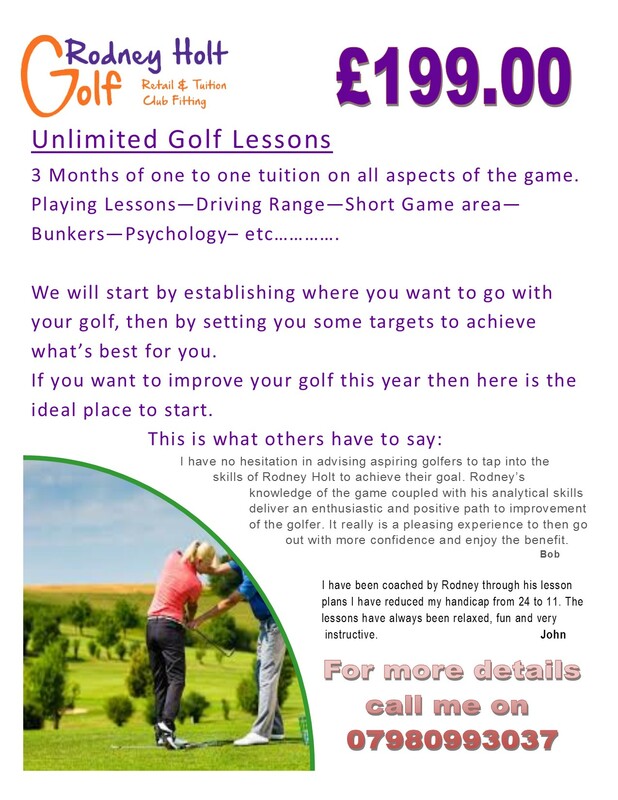 Unlimited one to one sessions for 3 months or more on every aspect of your game will help reduce your scoring and ultimately your handicap. Call me on 07980993037 to start lowering your scores.